Leadership, Effectiveness, Accountability and Professionalism (LEAP) Africa, established in 2002, is a non-profit committed to developing dynamic innovative and principled African leaders. We recognize that raising leaders is critical to nation building and wealth creation. Over the years, LEAP has inspired and equipped youth, business owners and social entrepreneurs to lead ethically while implementing initiatives that transform their communities and organizations for better; sustaining livelihood and contributing to national development. LEAP achieves this through its training programmes, publications and most recently eLearning. Assist in the finance and budget activities of the office including assisting in preparation of annual budget submission and revisions by estimating the cost of staff as well as rental and utilities, office equipment and supplies, printing, and other contracts, services or running expenses, to include in the budget. Verify all expense claims to certify correctness and ensure that all appropriate supporting documents have been provided. Upon request, extracts monthly financial reports of all active projects from the accounting/financial system. Ensuring that all cash and cheque payment requests are duly completed, certified and approved by authorized staff and all necessary supporting documents are provided before payment is done. 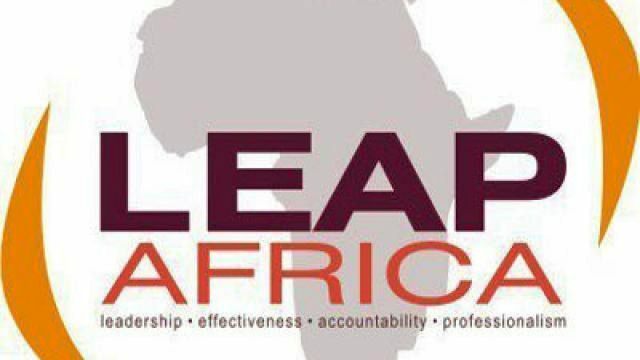 Performing treasury transactions in the accounting, monitoring the documentation and assuring its completeness in compliance with LEAP Africa’s and donors’ accounting procedures. General management of the office; ensure regular supply of power, water; ensure timely supply and adequacy of office supplies e.g. stationery, ink, paper; proper maintenance and safety of office. Proper maintenance of office files including client, accounting and contract files (ease of retrieving information). Responsible for the sale of LEAP books, periodic visits to bookstores, and efficient stock management plan for LEAP’s books. Perform administrative and strategic HR functions including: Coordinate submission of relevant documents by all new employees, Proper filing of staff employment documents, ensure staff files are updated, Maintenance of records related to vacations, sick leave, grievances and other staff matters, determine staff training needs and organize relevant trainings for staff. Takes initiative and drives high levels of performance. Is an effective team player. Develops / follows internal control procedures to prevent fraud and mismanagement. Ensures application of institutional financial policies and guidelines. Advocates incorporation of financial considerations into processes and procedures. Effectively applies knowledge of IOM policies and procedures in execution of responsibilities at appropriate level. Proficiency in computer skills, especially in MS Office products (Excel, Outlook, Word etc.). Three years of relevant experience in similar role. Knowledge of IFRS and prior experience in use of quick books and ERP software desirable. Experience in an office Admin. role. Experience working for an NGO will be an added advantage. Process and regularly update personnel, payroll and job applicant records, generate monthly or annual reports or spreadsheets. Assist in designing a comprehensive training plan. Online training, quality inhouse training programs, local and foreign trainings for all staff. Develop and document fun team building activities. Develop and emplace a systematic rewards and compensation plan. University degree from an accredited academic institution. Minimum 3 years’ relevant experience in similar capacity. Kindly note: Only shortlisted candidates will be contacted.